Farm Girl Pink....: ~ Chickens on eBay! 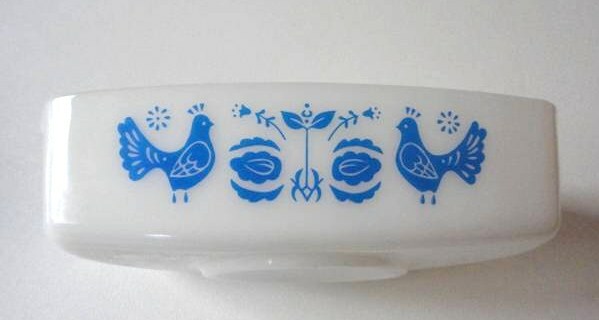 I just adore these vintage chicken/rooster bowls, that started showing up during the Mid Century years. 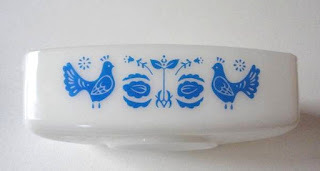 So many wonder glass items and so little time to find them all for my kitchen. There was a matching mixing bowl set made of these too! But today, I am showing off these wonderful smaller bowls. That do not require having to reorganize the entire kitchen, to add them to your cabinets. Gorgeous! eBay never disappoints me when I am wanting to find the neat stuff. Currently for sale... and looking for a new home! Now this glorious set was made by Federal Glass. I have not see these blue chickens before in my adventures. And they are just lovely. They look to be cooking size glassware. One is a loaf pan and the other one is a nice oval bowl. So pretty! Then of course... the one set of bowls I am still attempting to find local. 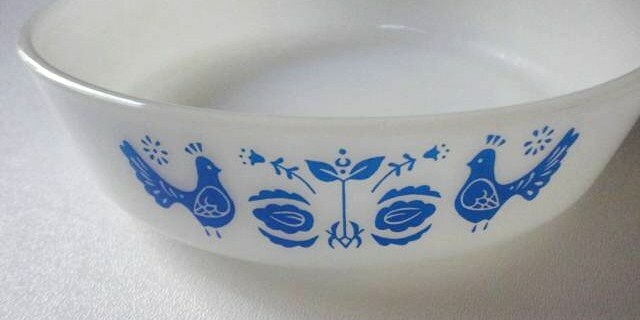 Those amazing chicken bowls by Glasbake. I have came across a couple of them in the last year. Both in terrible shape. Missing most of their paint. Cheapest one I saw was 40.00. With its paint missing! Ugh. This adorable turquoise girl, is in excellent condition. She needs a new home!